St. Joseph Parish began September 6, 1958, when the first bishop of the Jefferson City Diocese, Bishop Joseph M. Marling announced the formation of a new parish in Jefferson City. Because of overcrowding at St. Peter’s Cathedral located next to the state capitol and to better serve the growing Catholic community it was decided to construct a new parish on a 19-acre site located on the west side of the city. The first building constructed housed a cafeteria, church and six classrooms for the parish of 250 families. Fr. Kenneth McDonnell served as the first pastor.Two additional buildings were constructed for the rectory and a convent. The convent housed the Sisters of Mercy who had been recruited from Ireland by the second pastor, the Rev. Msgr. 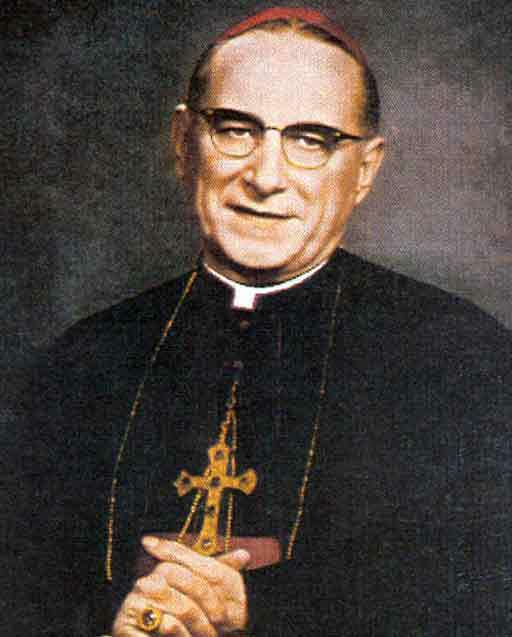 Francis O’Duignan.Monsignor Gerard Poelker was installed September 10, 1964 as the third pastor of St. Joseph’s. It was during this tenure in 1966 that plans were made to build a modern, circular Cathedral. 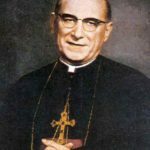 On August 20, 1967, Bishop Marling and Msgr. Poelker presided over the groundbreaking ceremony. When the first Mass was celebrated by Bishop Marling at Midnight Mass on Christmas 1968, the parish had grown to 650 families. On August 18, 1969, Bishop Michael F. McAuliffe was ordained and installed as the second bishop of the Diocese of Jefferson City following the retirement of Bishop Joseph Marling. The following year, St. Joseph Parish was elevated to title of The Cathedral of Saint Joseph and Fr. Richard Cronin was installed as administrator.In 1973, Fr. Francis Gillgannon succeeded Fr. Cronin as administrator and served until 1982. Because of the change of bishops, the formal dedication of the Cathedral was delayed until May 5, 1974, when John Joseph Cardinal Carberry presided over the blessing. During this period of time, the school grew rapidly. The original school on the upper floor had only six rooms for the first through sixth grades. With the completion of the Cathedral church, the original church/school facility was remodeled into classrooms. In 1977 the gymnasium and stage was constructed. Shortly after Fr. Patrick Shortt was assigned as the sixth rector, planning began on an addition to the school. Fr. Michael Wilbers was named rector in 1989, followed by Fr. Fred Elskamp in 1999. On August 27, 1997, Bishop John Raymond Gaydos was ordained and installed as the third bishop of Jefferson City. The Most Rev. Justin Rigali, Archbishop of St. Louis, was principal consecrator with the Most Rev. Oscar Lipscomb of Mobile, Alabama and the Most Rev. 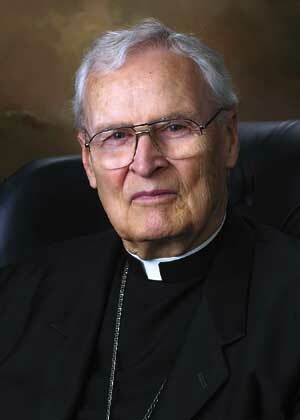 Michael F. McAuliffe, Bishop Emeritus of Jefferson City as co-consecrators.In 2004, Fr. Robert Kurwicki was named pastor of the Cathedral parish. 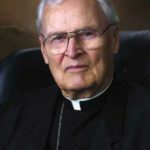 On January 6, 2006, after 28 years of shepherding the Diocese of Jefferson City, Bishop Michael McAuliffe passed to his eternal reward and his funeral Mass was celebrated on January 14 at the Cathedral. 2006 was also the 50th anniversary of the founding of the Diocese of Jefferson City, and during the Diocesan Jubilee Year, Fr. 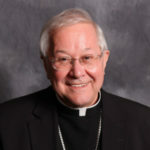 Kurwicki was honored with the title of Monsignor. In 2005, the Alphonse J. Schwartz Memorial Catholic Center was constructed on the lower Cathedral campus, replacing the former Chancery building on the east side of the city. Currently, the Cathedral parish serves about 7000 parishioners in 1500 households. The Cathedral school has an enrollment of about 480 students. Our parish community and school continue to grow as we look forward to spreading the Gospel and sharing our Roman Catholic faith into the 21st century. Through the labor of many, along with inspiring leadership, we have grown from a simple farm field into a modern, beautiful Roman Catholic parish, ever increasing in our love of Almighty God.